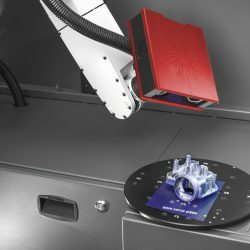 Automated measurement offers greatly increased speed, efficiency, accuracy and repeatability when it comes to industrial standard inspection processes. 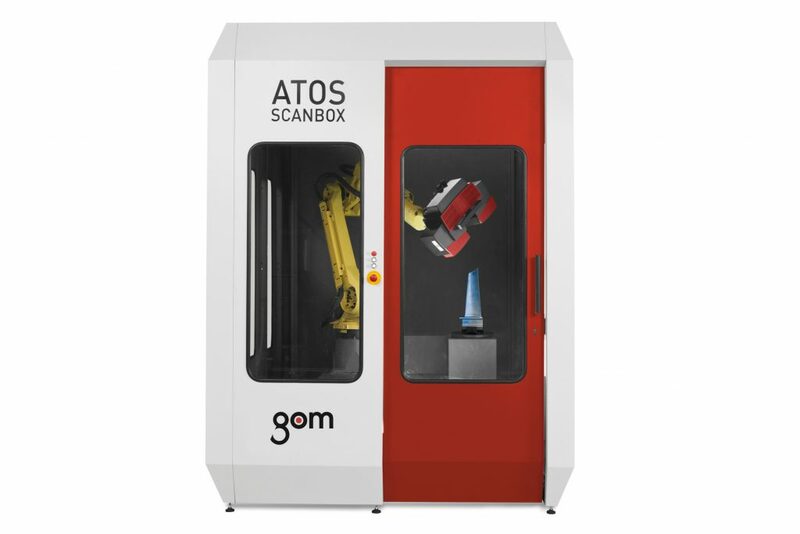 The ATOS Scanbox combines an ATOS sensor alongside a multi-axis robotic arm to complete an inspection workflow via software dictated measurement positions. 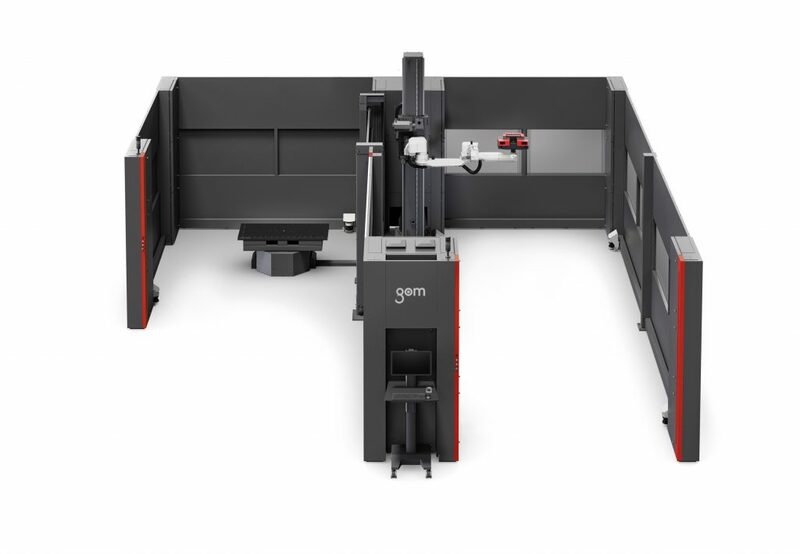 The accuracy of optical measuring machines is not due to expensive and high-maintenance precision mechanics, but is rather based on state-of-the-art optoelectronics, precise image processing and mathematic algorithms. 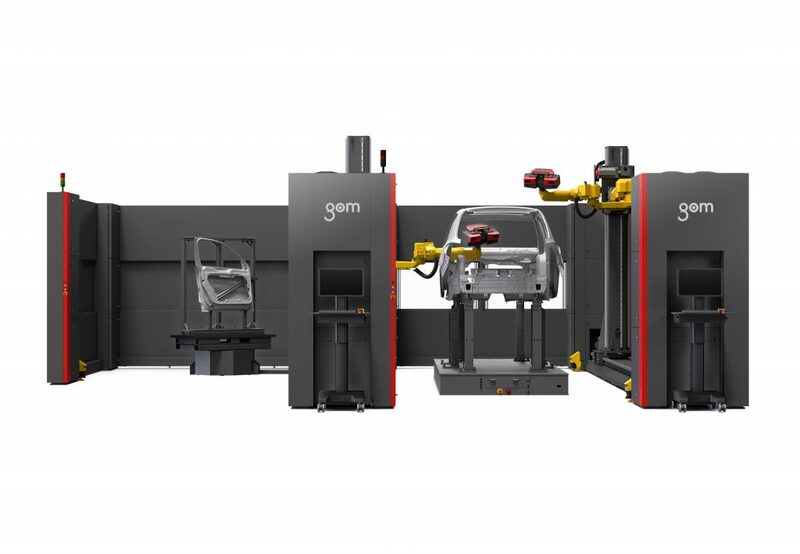 Few precision standards and automated calibration that can be performed by the customer ensure the accuracy of the machine. This also means no loss of accuracy due to wear under harsh conditions. 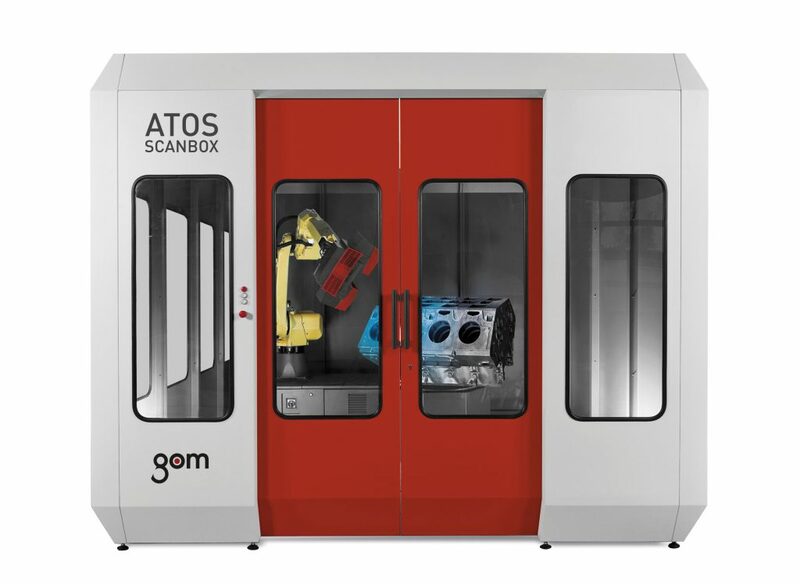 The Virtual Measuring Room (VMR) software is the control station and measurement planning software for all aspects of the ATOS Automation Cells. 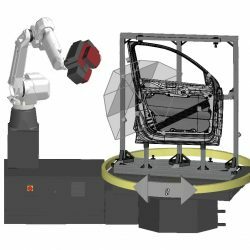 By using the VMR, a full simulation of an inspection process can be performed based on a real measurement environment. 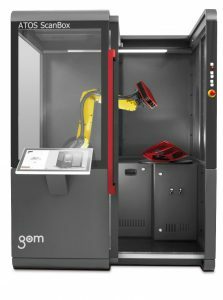 The software is user friendly and can be worked with without the technical requirement of robotic programming skills. 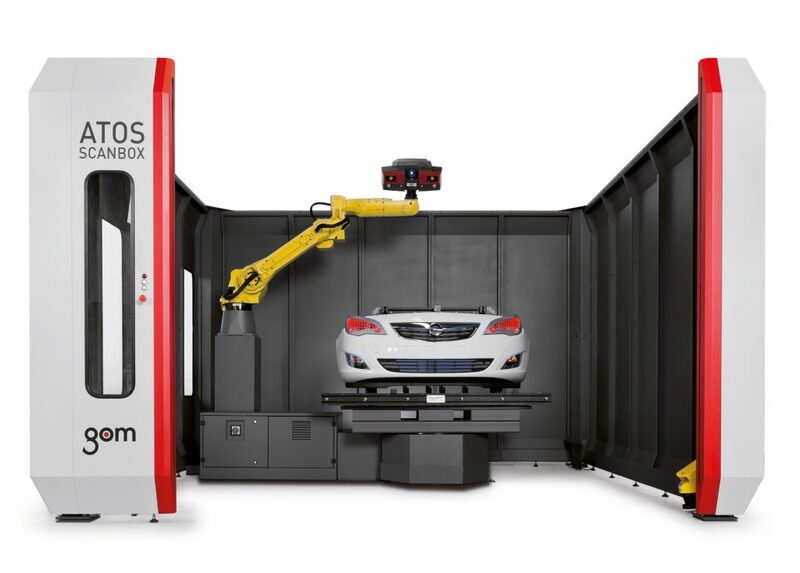 All real time robot movements are simulated and checked for safety prior to any measurements. inspection characteristics from the measurement plan. The measuring report can also be prepared offline in advance. The actual measuring results can be displayed after the measurement procedure. 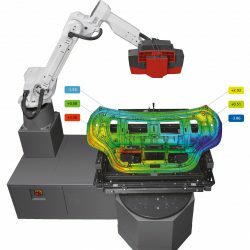 The Auto Teaching function in the VMR calculates the required sensor positions for all inspection features and CAD surfaces. The subsequent path optimization improves the sequence of the positions in terms of run time and collision avoidance. 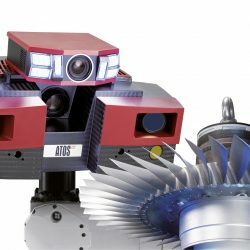 Auto teaching allows the time required for creating reliable and run time-optimized robot programs is kept to a minimum. The robot is fully controlled by the software and moves successively along the measurement positions. A check is performed for each measurement to ensure results are within quality. Changes to the data status of the CAD or measurement plan can be quickly updated via the software.